Blackstone Group LP has almost completed a deal to sell a portfolio of US luxury hotels for US$6.5 billion, according to The Australian Financial Review. Blackstone is negotiating to sell the Strategic Hotels and Resorts to China's Anbang Insurance Group. The deal comes only months after Blackstone bought Strategic Hotels and Resorts in December. The AFR reported that the selling price to Anbang is about $US450 million more than what Blackstone paid for it. Strategic Hotels and Resorts includes hotels such as San Diego's Hotel del Coronado and Essex House overlooking Manhattan's Central Park. The portfolio also includes a number of Four Seasons properties in Washington, D.C., Austin, Texas, and Jackson Hole, Wyoming. Anbang Insurance Group has made a number of high profile deals in recent times, including buying both New York's Waldorf Astoria for$1.95 billion - the highest price recorded for a US hotel - and US insurer Fidelity & Guaranty Life for $1.57 billion last year. 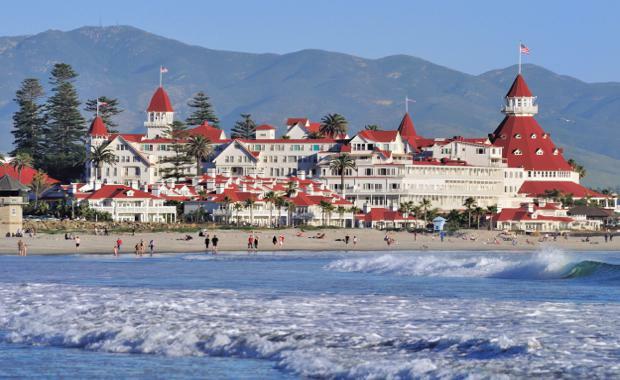 Pictured: Hotel del Coronado in San Diego - part of the Strategic Hotels and Resorts portfolio.